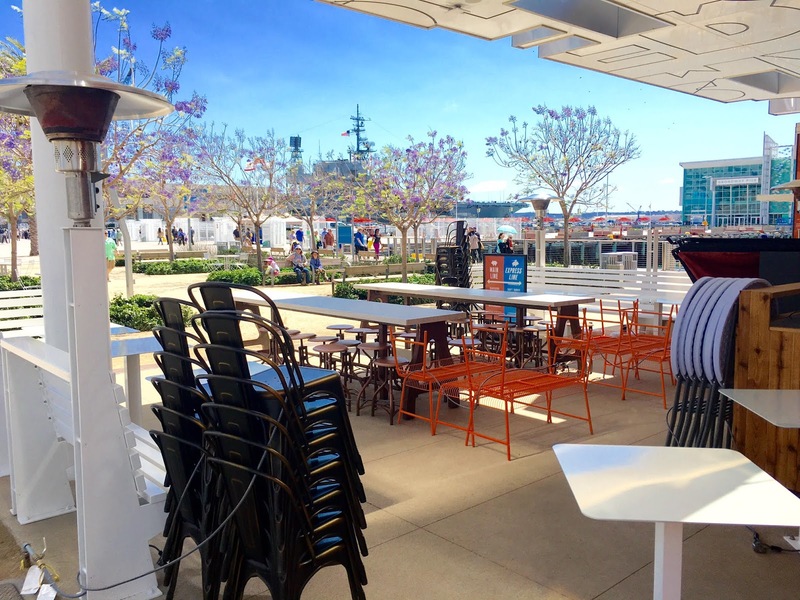 Husband & wife partners Chef Hanis Cavin and Sara Stroud will soon debut their third location of the popular pork paradise Carnitas' Snack Shack, opening at 1004 North Harbor Drive at San Diego's Embarcadero on Wednesday, May 11. 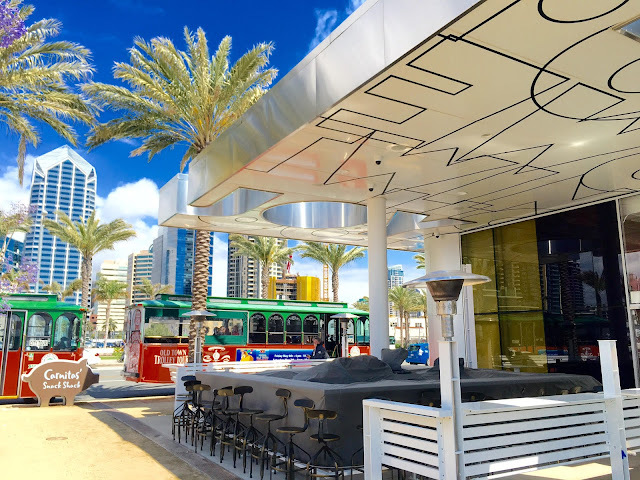 Their new location will be totally al fresco, with an expanded menu, a cocktail bar, breakfast items and a dining deck with views of San Diego Bay. Get your first look at the space and new menu!! 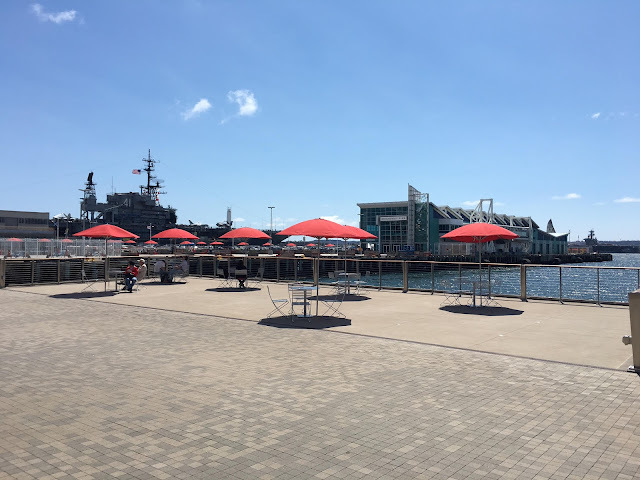 As part of the Port of San Diego's efforts to enliven the waterfront, the Board of Port Commissioners approved a lease to Carnitas' Snack Shack III, LLC, to operate the new Carnitas' Snack Shack café, who beat out several other applicants to secure the space. 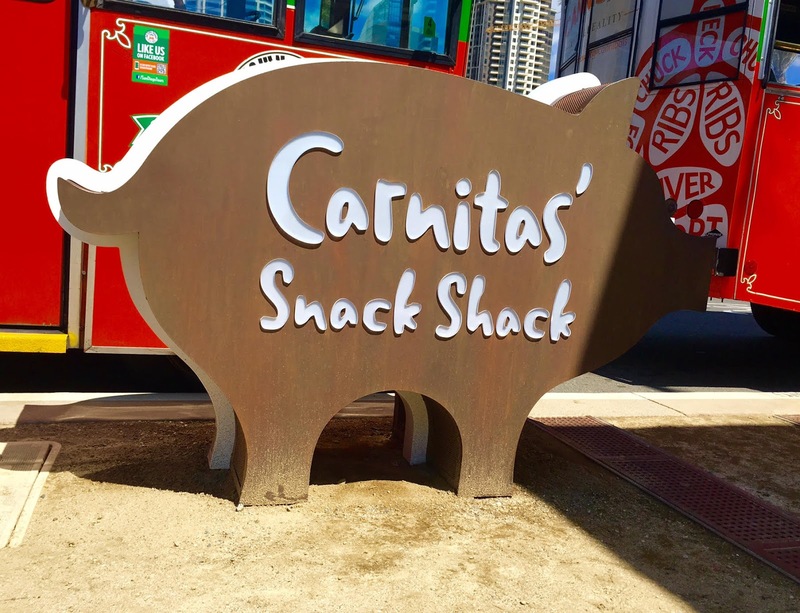 Carnitas' already has two restaurants in the region - the original in North Park and another in Del Mar. 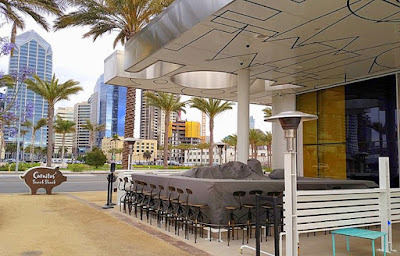 Owned and operated by Chef Hanis Cavin and his wife/partner Sara Stroud, the original North Park location opened in 2011 and has experienced tremendous success due to it's popular pork-centric menu and reasonably prices. 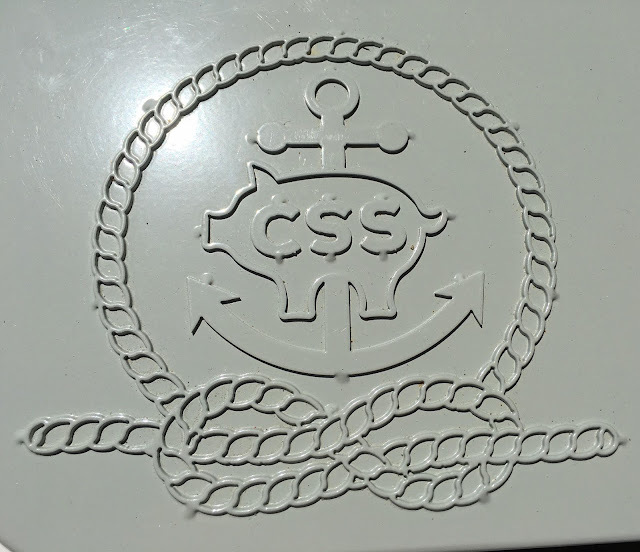 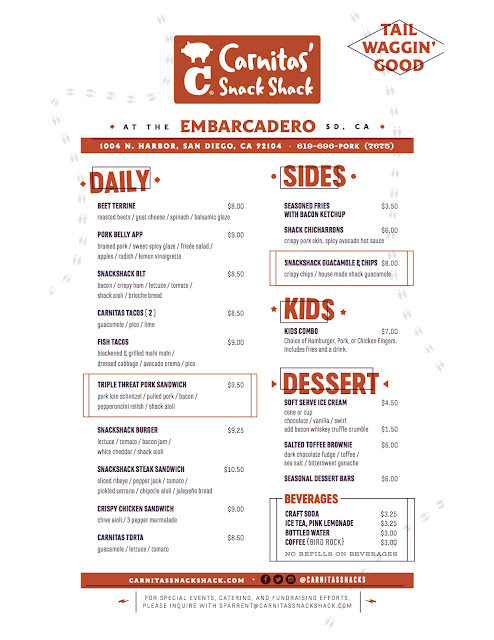 In 2014, a second location opened in the Carmel Valley area of Del Mar. 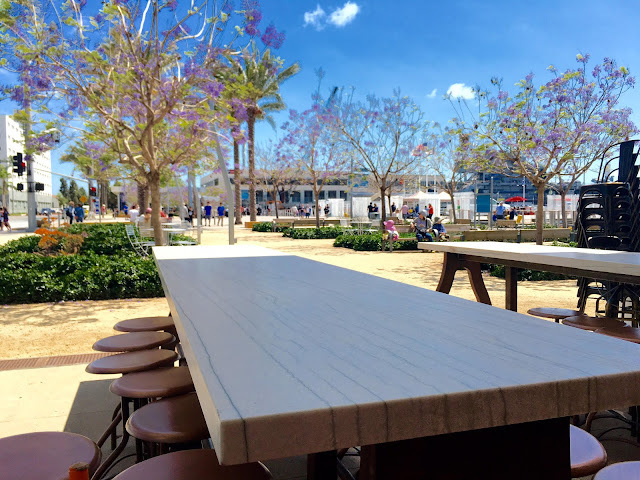 The new Carnitas' on the waterfront of San Diego Bay will include a locally sourced craft beer garden component to augment its successful "pork centric" menu, offering 5 rotating beers on draft, as well as 4 wine taps. The menu at Carnitas' III will include as many locally sourced ingredients as possible including favorite dishes like the pork belly app and Triple Threat pork sandwich and new items like fish tacos and a fried chicken sandwich, weekend breakfast items like a pork belly breakfast burrito and machaca tacos, and rotating deserts by pastry chef Rachel King like the salted toffee brownie. They will also have a 28-seat outdoor, full bar with specialty cocktails by mixologist Mai Pham, formerly of Prepkitchen. Rounding out the menu, the new location will have a coffee program in partnership with Bird Rock Coffee Roasters and a variety of soft-serve ice cream. 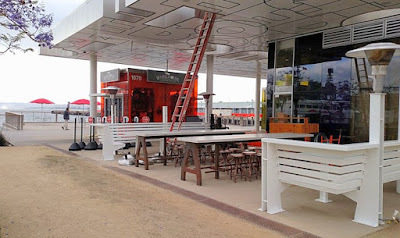 The new Carnitas' is housed in an artistically designed structure that is part of the North Embarcadero Visionary Plan. 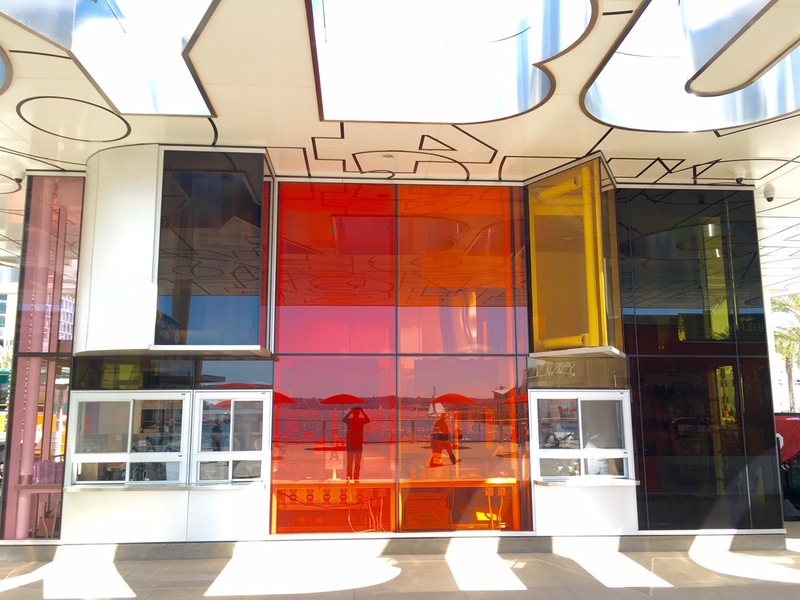 Designed by artist Pae White and project architect JWDA, the space includes multiple, angled glass panels of varying colors, as well as a nearby viewing deck sitting above the bay. Since the new Carnitas' is mostly a walk-up café, its lease with the Port will allow the restaurant to utilize adjacent jacaranda groves and seating areas for customers to enjoy their food. 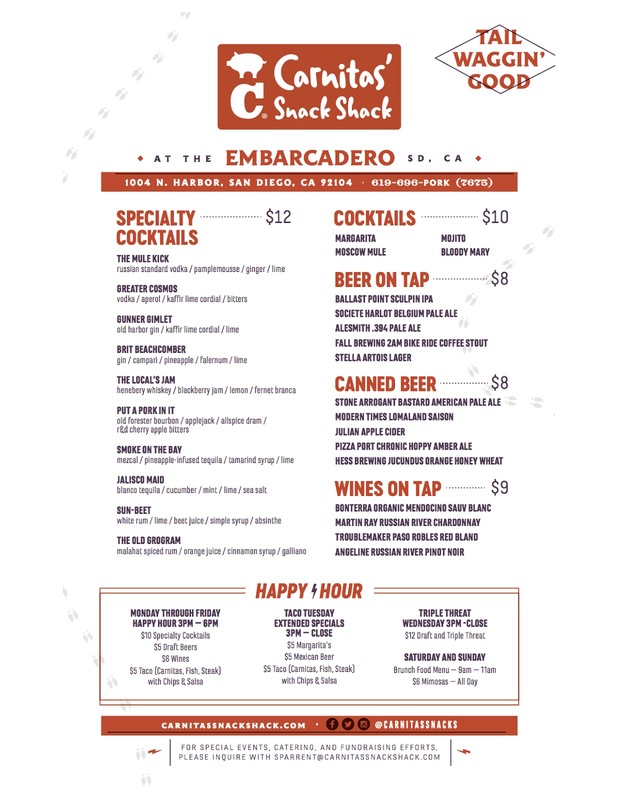 During Carnitas' Snack Shack Embarcadero's grand opening weekend on Saturday May 14 & Sunday May 15, they will be celebrating with live music from Aquile, Funk Shui Planet, and Casey Turner Music. 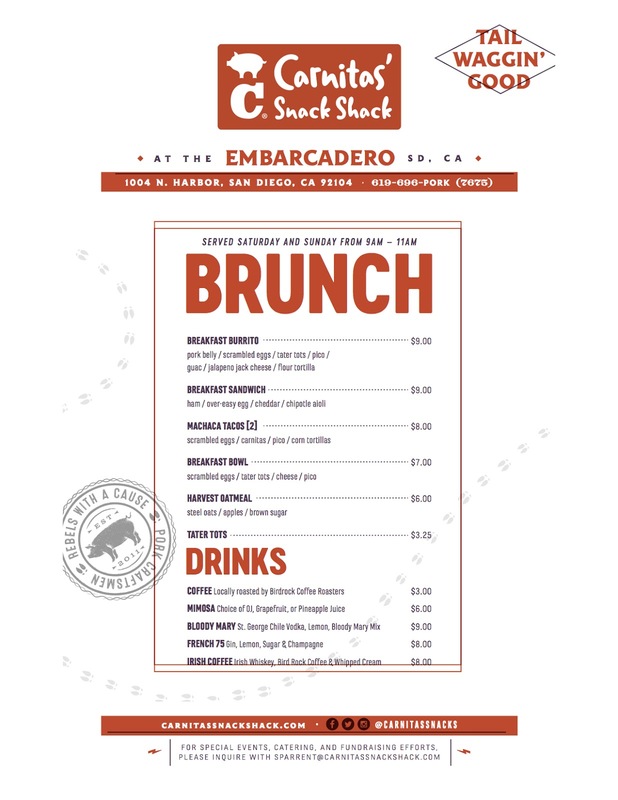 Carnitas' Snack Shack is open daily - Monday through Thursday from 11am-9pm, Friday from 11am-10pm, Saturday from 9am-10pm and Sunday from 9am-10pm, with brunch served Saturdays & Sundays from 9-11am. 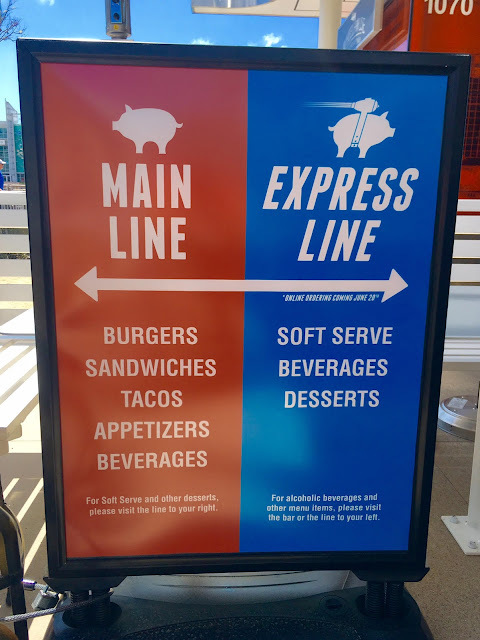 Check out photos of the new space and the menu below.